As you all may be aware of the fact that Google has confirmed that they have done a Penguin update i.e. PENGUIN 3.0 & many SEO firms have noticed major changes in the Google search results. This was one of the most awaited algorithm updates in Google’s history, where webmasters have been waiting for a refresh for over a year. PENGUIN 3.0 is an update of the algorithm & not a refresh of the data set: which means that the quality metrics feeding into PENGUIN have changed, along with the thresholds required to avoid it. Many of the SEO firms worldwide are claiming some major & minor changes in their campaigns. It has been observed that hompage for sites have been deindexed & internal pages are replacing the homepage in the search results. However, it is unknown if this is a partial penalty or if it is an issue with a longer roll out of Penguin and eventually those internal pages will be deindexed as well. It is quite unexpected as most of the sites that are penalized by PENGUIN previously don’t rank for any pages. It is rare (although not unheard of) that Google simply penalizes a homepage while allowing the remaining site to continue ranking for competitive keywords. PENGUIN 3.0 rolled out on international Google sites including Google.co.uk, Google.de & Google.fr first, instead of rolling out within the US first. Sites that were using 301 redirects to get around previous penalties seem to have been impacted. It looks like that this update may have specifically tried targeting affiliate sites with the number of sites that are reporting being impacted by the latest PENGUIN. Sites that were utilizing automated ranking tools such as GSA, irrelevant links & automated link building tools, spammy backlinks (low quality backlinks like Guest Posting), paid link building (sitewide links & footer links), sites utilizing bulk link building & having insufficient Linking Domain Relevancy seem to have been impacted. Sites that were using improper anchor text ratio, over optimized anchor texts & were mainly focusing on exact match anchor text are penalized. Sites that were utilizing copied content & getting backlinks from sites that have same content are also penalized. Sites that were using web 2.0s to rank their sites are also penalized, especially those using lower quality or not highly niche relevant content. Useful Tip: Don’t use web 2.0s unless you are really going to add consistent, relevant content and even then it may not be a great idea. If you have seen a loss, check your webmaster tools and start disavowing links that are deindexed. The first step of Penguin Penalty Diagnosis is to analyze your whole backlink profile, referring domains and backlink type. Use online link research tools such as Ahrefs.com, Open Site Explorer or Majestic.com to gather all the existing links to your domain and analyze the authenticity of those links. Google wants to reward rankings to sites that have garnered natural authority. E.g. A Medical Niche Site Website should not obtain a link from a site related to Computers & Technology. Remove all spammy and irrelevant links. By analysing your backlink profile, you may notice there are a large number of links pointing back to your site that do not include your brand name or domain. For example, if your site sells wedding rings, and the vast majority of these links are the key phrase “wedding rings”, this is a clear indication of unnatural link building. Google bots will spot this quickly, and penalize swiftly. Remember: If your site is affected by PENGUIN 3.0 then it can be recovered or unpenalized in next PENGUIN update only & it may take few weeks, months or even a year. If you are thinking of 301 Redirect of your site to another Domain then it will work for few days but unfortunately the PENALTY will also transfer to the Domain on which you have 301 Redirected your Money Site. Besides of removing all the spammy backlinks & waiting for next PENGUIN UPDATE you can also start by creating a fresh domain, as by this you don't have to wait for next PENGUIN update Plus you can create an organic backlink profile & genuine anchor text ratio that is appropriate & capable of remaining unaffected by any GOOGLE UPDATE. But, overall if you are really Good at SEO then you can easily survive any Update. As, you can easily get an overview that their was no drop at all and rankings remained unaffected by the Google's PENGUIN & you can also notice increase in rankings. If things are done as they are meant to be then rankings will remain unaffected by any update. If you use the Link Authority properly like we used it for our campaigns then you can survive the Google Updates. How You Can Avoid Google Algorithm Updates? The best way to stay on the ranking track is to stay updated & doing the right things. You can easily protect your site from any Google Algorithm Update if you prepare enough before any Major UPDATE. Only use trusted network for link building like Link Authority. Emphasize on Unique, Relevant & High Quality content. Use tiered link building to bring Diversification in your backlink profile & anchor text ratio and you can also read our Definitive Guide To Multi-Tiered Link Building Here. Focus on Linking Domain Relevancy (LDR) as “Relevancy is the new PR”. Google is putting less weight on authority signals like PageRank & more emphasis on Linking Domain Relevancy (LDR). Sites without relevant backlinks are more likely to get hit by Penguin than those with at least some relevant backinks. 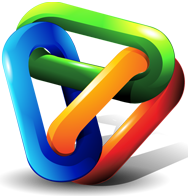 High quality contextual & niche relevant backlinks that you generate using Link Authority are organic & unique plus they are published on different domains (High PR & Aged Websites from different Geo locations having different IP ddresses). As these all factors are essential to stay protected from Google Algorithm Updates & also enhance rankings. 2. Smart Anchor Text Diversity: Using anchor text in a proper manner &diversifying it is a must if you want to remain on the top in Google SERP's. To know more about optimal anchor text ratio you can also read our Anchor Text Usage & Distribution Guide here. 3. Optimal Link Velocity: Link Velocity plays a major role when it comes to rank websites & to stay protected form Google Updates. You can also use our recommended Link Velocity Strategy That Works to get best results. 4. Stop Spamming Social Signals: If social signals are ever going to become a major part of the Google algorithm then they’ll have to get really good at spotting fake signals & Google may even hit sites linked to social media accounts with fake followers. For Example: It’s quite easy to spot a Twitter account with 10 tweets and zero engagement isn’t going to have 10,000 followers. 5. Strong On-Page Optimization: Try to build Strong On-Page factors of your website. Note: Reading this Post isn’t sufficient to protect your site from Google Algorithm Updates. To accomplish that, you need to put this information into action.